Taking care of your teeth is not optional. Routine dental care is essential for every member of your family, from the youngest of children to senior adults. Visit us for friendly general dental care that helps you keep your family health and smiling. A fear of the dentist is extremely common, but it can lead you to neglect your teeth. Let our friendly, compassionate, and gentle team provide nurturing care that eases your stress and allows you to get the treatments you need without fear. Dental health is about more than taking care of your teeth. It is about caring for your entire body. Let us be your partners in caring for your family with dental treatments from the time that first tooth appear. 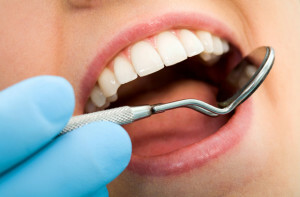 Routine cleanings are performed by the dentist for professional, effective, and reliable care each time you visit us. Caring for your family’s teeth shouldn’t be a strain on your budget. Ask us about billing your insurancecompany for your dental care.